Communicating with clients is the cornerstone of your firm. Whether it’s fielding inquiries, consulting with a client or conducting important research, it’s vital your calls go uninterrupted. Often, it’s also necessary to work remotely, meaning you need to be able to call a client on your secure, stable business line from anywhere. 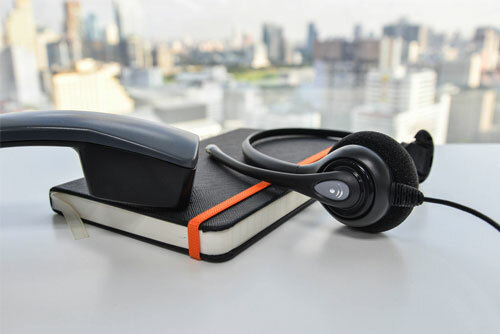 We provide a communication solution that fully embraces integration and unification of traditional business phones with the existing and emerging web-based software, CRM Packages and Microsoft Outlook. With us, you have a reliable, cloud-based phone system that saves you money. Full Featured – VoIP Phone System – No PBX Hardware to Purchase! Why do you need a Cloud phone system? With over 15 years experience and a focus in the legal industry, we provide the most advanced, secure and affordable information technology strategies so your tech is as sharp as you are. Read about our services or read about our solutions for lawyers. Find out what it’s like to have a true partner in information technology. Reach out for your complimentary consultation. "You and your team have been a major component of our increased efficiency and productivity we’ve experienced since you came on board. You continue to keep us running smoothly yet keeping us abreast of new technologies and methods that may help us also. Thank you for your continued efforts and hard work!"